SOLD! 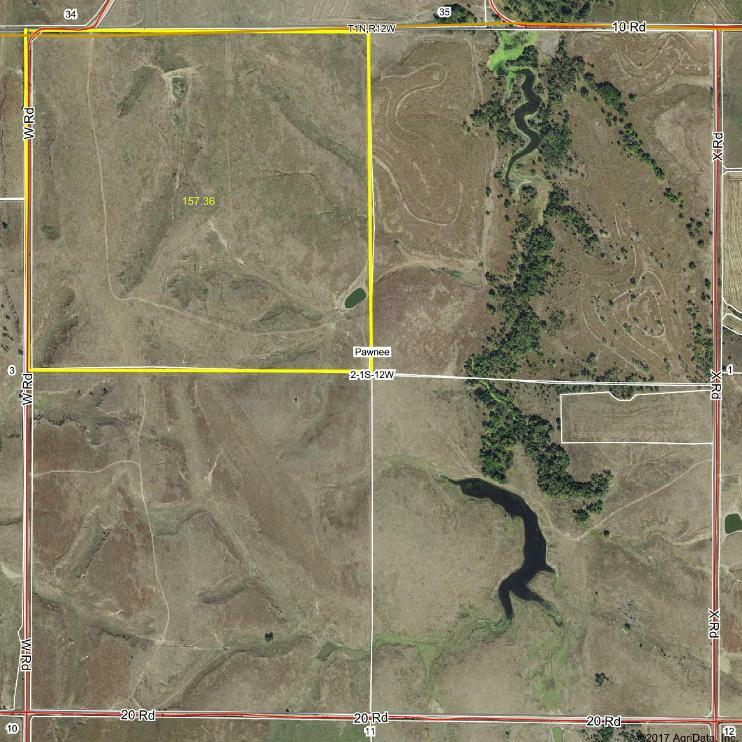 Land Listing: Smith County, KS. The Northwest Quarter (NW1/4) of Section Fifteen (15), Township Four (4) South, Range Fourteen (14) West of the 6th P.M. Smith County, Kansas. 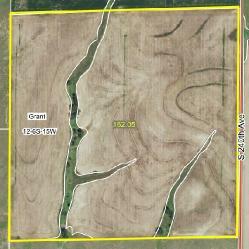 New Land Listing: Smith County KS. 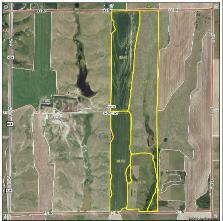 85.77 acres of Cropland, 19.81 acres of CRP (41.80 per/acre) Expires 9-30-2020, Balance Grass. Buyer will have full possession upon closing. SOLD! 26012 M Rd, Gaylord, KS. 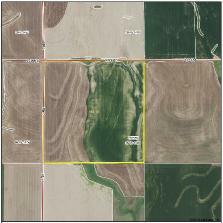 This property can be purchased with a Quarter Section and Pivot irrigation system or separately. SOLD! 26012 M Rd, Gaylord, KS. 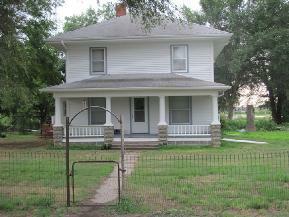 This grand 2 story farm house was built in 1910 and sits just off of the highway near Gaylord, Kansas. The front of the house has an inviting porch that runs the length of the house. The 4 bedrooms are all located on the second floor and all have spacious closets. SOLD! AUCTION: Sat., July 14, 11:00 a.m.
3 bedroom, 2 story home, 2 bath, nice sized living room. Kitchen is small, 2 car 32’ x 24’ detached garage, new 41’x 24’ all steel building with cement floor, large garage door w/new wiring. SOLD! 113 & 115 S. Washington, Smith Center, KS. Beautiful, well-kept 2 story home with 4 bedrooms (3 upstairs, 1 on main floor) and 2 full baths with full basement. Original wood flooring and woodwork throughout the living room and dining room. Living room has a fireplace with a beautiful mantel. Central air and heat on the main floor with window a/c and small heater upstairs. There is a whole house fan. Dishwasher, stove and refrigerator goes with the property. Large 2 car attached garage. The lot to the north of the house with the building is included with this property. Total Living space: 2145 sq.ft. Country living at its best! 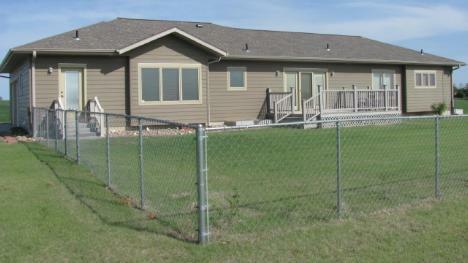 This ranch style home, with a 2 car attached garage, is accessible by a paved road and is located ½ mile north of town. It is situated on 4.7 acres with city water and propane. There are 3 bedrooms and 2 ½ baths on the main floor. Master bathroom has a shower and a jet tub, all bedrooms are very large with lots of storage. The kitchen has beautiful oak cabinets, center Kitchen Island, a spacious dining room and a bright, airy breakfast nook. The living room is open to the dining room with doors leading out to the patio. All the doors are oak and all the trim throughout the house. The basement is unfinished but has been plumbed for a bathroom, poured walls and 2 ingress and egress windows. 2080 sq. ft. of living space on main floor and the same in the basement. All furniture is included. Move-in ready. More specs to come later. 3 Bedroom Ranch home with wheelchair ramps on the front and the back of the house, small kitchen, large living & dining room, fireplace, 1 full bath with walk-in shower, all bedrooms have large closets, central air & heat, washer and dryer hook-ups are on the main floor but there is also a hook-up in a full basement. Basement has a poured cement foundation, chair lift leading to the basement. Single attached garage, fenced in backyard with a 10’x12’ storage building, small yard to take care of. Driveway and sidewalks all new cement. Priced at $55,000.00. 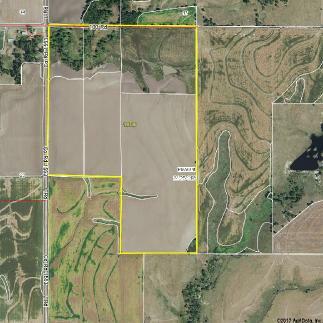 New Listing: 3061 DD Road, Lebanon, KS, 80 Acres. 5 Bedroom Ranch Style home, built in 1976 and remolded in 2016, 3 full baths 2 on the main floor, 1 in basement. Large living and dining room, large covered patio on the west side of the house with w/sliding entry door off the kitchen. Basement has been all framed in and sheet rocked and new plumbing in the last 6 months, Kitchen area also. Cement storm shelter off the basement kitchen, 2 car attached garage, 102’ x 50’ farm utility building, dirt floor, 24’x34’ farm utility building cement floor, several other outbuildings. Must see to appreciate. SOLD! Land is located North of Alton, Kansas. Just 1 mile south of the Smith County line. North One-half of the Southeast Quarter and the South One-half of the Northeast Quarter of Section 12-6-15 Grant Township, Osborne County, Kansas. SOLD! New Listing: Victorian 2 story home, 3 bedrooms, 1.5 baths, open staircase, attached single car garage, 20x16 outbuilding, floor heat, window AC. Enclosed porch, many new double pane windows all wrapped, Vinyl siding. Roof needs some work with leaks in the Kitchen and small attachment. Partial basement. Lot size 80’ wide and 142.5 depth. SOLD! 5 Bedroom, Ranch home, 3 full baths, small basement, large kitchen, 2 living rooms, office area, central air and heat, w/forced air wood burning stove, all appliances included, 2 car detached garage w/storm cellar. All setting on 1.5 acres just 2 miles off Hwy 9, South of Claudell, KS. 2,304 Sq. Ft. of living space. Built in 1968 & Remodeled in 1980. 120 Park Street, Smith Center, KS. 2 Bedroom Stucco Ranch Home. This is a perfect starter home or retirement home, all on 1 level, 1 large dining room with a small living room, Kitchen has enough space for a small table and lots of cabinets, 2 bedrooms have large closets, 1 full bath with plenty of lighting, small office that has plenty of storage, small basement with outside entry, large size patio with car port and a grilling area, small storage building all located on a corner lot. Must see to appreciate. SOLD! 160 acres of Smith County Grassland NW1/4 of 2-1-12. In Pawnee Township. Seller will also give the option to rent the adjoining SE1/4 quarter. SOLD! 309 North Washington, Kensington, KS. 3 Bedroom Ranch home, 1-1/2 baths on the main floor, nice sized kitchen and living room, all 3 bedrooms are nice size with good size closets, ¾ bath in the basement with a recreation area, Train XE1000 AC & Train XE 80 furnace installed in 1994, New double pane windows, water softener is included and all appliances are negotiable. Single car garage, large patio, small metal storage building, and cement basketball court. SOLD! 113 S. Monroe, Kensington, KS. 3 bedroom bungalow home, remodeled in 1980, new kitchen with all oak cabinets, 2 full baths all on the main floor, large living and dining room, ½ basement along w/outside entry, stove, washer & dryer go with the property, 24’ x 14’ steel framed single garage, cement floor and all insulated, 18’ x 34 wood framed single car garage with workshop. This property has been well kept. Must see to appreciate. SOLD! 27 Market Street, Portis, Kansas. 1-1/2 Story house, 3 bedrooms, 1 full bath, nice size kitchen w/washer and dryer hookups, large living and dining room area, 1 bedroom on the main floor and 2 upstairs, high efficient central air and heating system, vinyl siding, all new windows. 1,506 sq. ft. total living space. 1,148’ on the main floor, on 4 large lots. Home will be sold fully furnished including all the appliances, beds, furniture, and extra. 2 Bedroom Ranch Home, Built in 1959, 1,310 Sq. ft. living space, spacious living room w/pellet wood insert fireplace, 1 full bath, nice size kitchen, large laundry room with room enough to put in another bathroom, central air & heat, single car garage, fenced in backyard. SOLD! AUCTION: April 30, 5:30 p.m.
3 bedroom Ranch home, full basement, 1 full bath on the main floor, large kitchen, nice size living room, Kitchen and living room have laminated floors, bedrooms are carpeted, basement has a large recreation room with laminated floor, 1 bath, storage room, shelving for can goods, 2 car detached garage, all on 1/2 block. Ranch style home with 5 bedrooms (3 on main floor, 2 in basement) and 3 1/2 baths. Master bedroom has walk-in closet, large office, bathroom with jetted tub and shower, and skylight. Double entry door from master bedroom to back deck with composite wood. Built in 1979. 1904 sq. ft. living space on main floor, estimated 1200 sq. ft. in basement. Virtually maintenance free 2 bedroom, all steel home, all on one level, 1 full bath, central heat and window AC, detached 2 car garage 28’ x 24’ deck located in the rear. Stove and Refrigerator included. Lot size 63’ frontage 125’ depth. SOLD! 815 Boulevard, Smith Center, KS. This beautiful 2 story, 4 bedroom house with 2 car attached garage was built in 1985 and is in a prime location.